Duff Guide to Ska reader John Cook let us know about a ska research guide he created utilizing the Music Library and Sound Recordings Archives (ML/SRA) at Bowling Green State University (this served as his graduate thesis project in library science at Kent State University). According to John, "its purpose is to provide a basic history of the genre and to act as a starting point for those researching ska using the library's collection." Check out his guide here--it provides a good introductory overview of the genre, highlights key bands, and offers a suggested discography for each era! I did a little bit of searching in the ML/SRA and was impressed to find that its collection contains some fairly hard-to-find ska releases, such as the German/Pork Pie LP of The Toasters' "New York Fever" (with its dancing thermometer on the cover! ), a CD of Prince Buster's "Prophet" (a great out-of-print collection on Lagoon Records in France--which was withdrawn due to a dispute over who had the authority to license the tracks to the label), and his "She Was a Rough Rider" LP on Skank Records (UK), which is probably worth about $150-$200! Ska ZombieWatch 2: SID Australia! 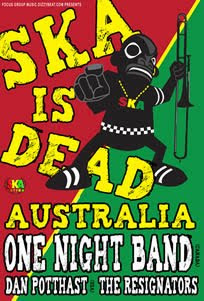 The zombie ska plague spreads Down Under with the Ska Is Dead Australia Tour! 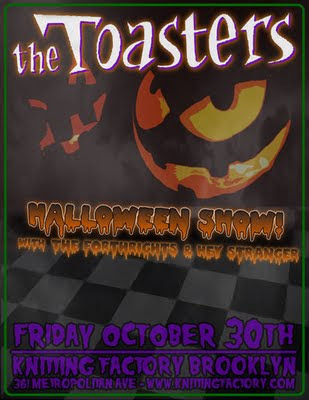 This spin-off of the US Ska Is Dead franchise will feature a more international line-up (unless you consider The Toasters to be a Spanish band, since Buck is now based in Valencia?) 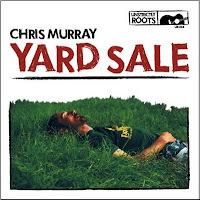 with The One Night Band from Montreal, Canada, playing their brand of reggae and rocksteady; folk skankster Dan Potthast (ex-lead singer for MU330) from Santa Cruz, USA; and psycho ska band The Resignators from Melbourne, Australia. 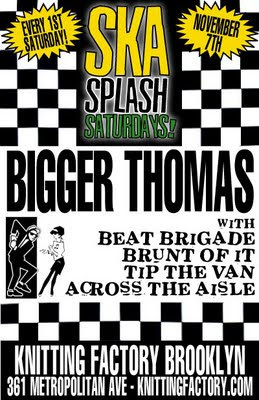 This tour also coincides with the two-day Ska Nation festival. Guest supports on all shows. 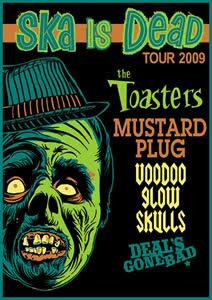 While Adam Coozer keeps a vigilant eye out for any general news concerning the rise of zombies, The Duff Guide to Ska is (obviously) interested in the ska angle of the undead--hence our coverage of the second leg of the 2009 Ska is Dead (SID) Tour, with headliners The Toasters, Mustard Plug, Voodoo Glow Skulls, and Deal's Gone Bad. 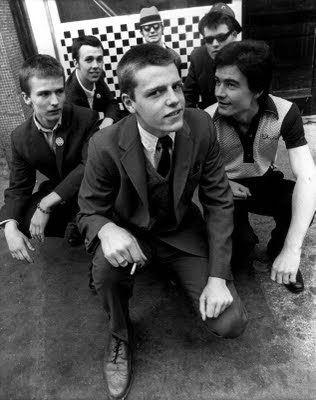 Barring a sudden announcement by The Specials or Madness that they are hitting the States for some gigs, SID is shaping up to be the major ska tour this fall for parts of the Midwest and the entire East Coast. Sadly, it seems like NYC is getting the short end of this stick this time 'round--the closest SID comes to us is Sayreville, NJ. 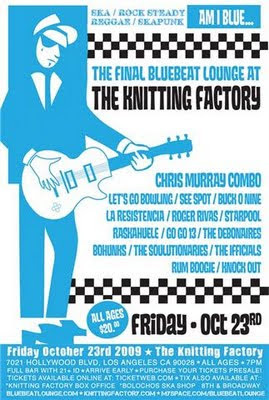 For the city that helped give birth to the US ska scene--where's the love, baby? 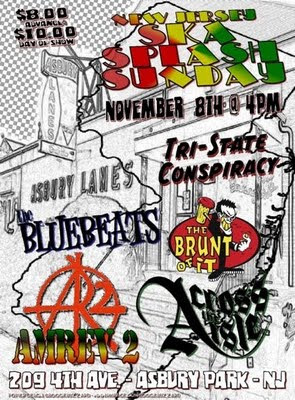 Also, I can't decide which band name is better: Dead Like Lincoln or Fatter Than Albert? Back in May, I was interviewed by Jennifer Davis (freelance journalist and singer for the Megalith Records act St. Petersburg Ska-Jazz Review), along with a bunch of other scenesters, for an article titled The Ska Will Go On that was recently published on the PopMatters website. As with any overview of ska history--particularly the era that I was involved with--one may find some things to quibble over (too much coverage here, not enough props there, something else completely omitted, etc. 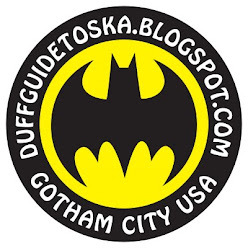 ), but it's an interesting read, and The Duff Guide to Ska gets a mention! For some more background on Moon Records--its rise and fall--as well as my attempt to launch and sustain a digital download ska/reggae label called 7 Wonders of the World Music back in 1999/2000, check out this lengthy interview I did with Adam Coozer for Read Magazine at the dawn of this decade. 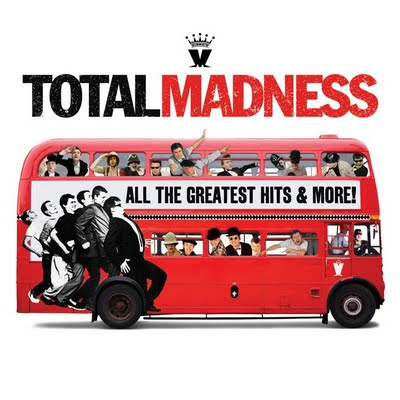 As part of Madness' ongoing 30th anniversary celebration, the band played a free show last Sunday (9/27) in conjunction with Absolute Radio (on the occasion of its very first birthday) on a stage set up on Regent Street in London--witness their entire amazing performance here. All the programmes will be repeated on BBC 4 on Sunday 4th October and those outside the UK can catch all of the aforementioned on the BBC iPlayer.